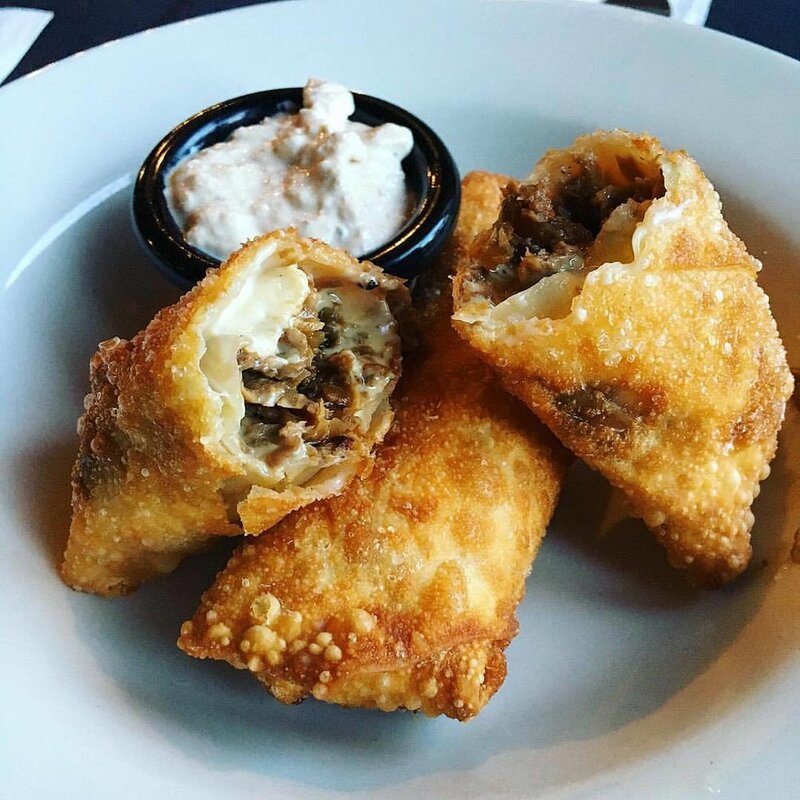 We’ve packed the deliciousness of a Philly Cheesesteak into bite-sized morsels that are guaranteed to make your mouth water. They’re perfectly fried, jam packed with flavor and complemented by our smoked bacon remoulade. Your first bite will make you an instant fan and your last bite will have you holding back tears. You’ve probably thought about ordering this 100 times but could never pull yourself away from your normal order. Well, it’s time to experience what you’ve been missing this whole time. The Pop Frank is a next-level burger. Why? Because it’s marinated for a full 48 hours before it’s char grilled. The flavor from Chef Matt’s secret marinade in conjunction with the open-flame can be tasted in every bite which is only enhanced by our famous Pop’s glaze (top-secret sauce that tastes both familiar and brand new at the same time). The Pop Frank is a must-try for any serious burger fan. It’s tough describe just how ridiculously good this appetizer is. We hand-trim and then slow roast our sticky ribs for 8 hours. They’re then topped with our sweet and spicy Thai Sauce. Each bite will melt in your mouth and awaken your taste buds. Sticky Ribs are meant for sharing but after your first bite all decorum will be thrown out the window. This out-of-this-world sandwich, which can only be found on our secret menu (download our app! ), has quickly become a fan-favorite. This fried chicken sandwich is loaded with flavor and provides the perfect punch of savory and sweet. From the perfectly fried chicken to the house-made hot sauce (100% homemade by Chef Matt) and granny smith apple slaw, your mouth and stomach won’t know what to do with itself. After your first Burger Mondays’ Fried Chicken Sandwich no other chicken sandwich will compare. Yes, Burger Mondays offers a Delmonico steak. And yes, we’d put it up against any steak in the area, hands down. This tender piece of beef is kicked-up by our house roasted garlic butter. Chef Matt will guarantee that your steak is perfectly seasoned and cooked to your liking. Burger Mondays is 100% more than just burgers and our Delmonico confirms that.